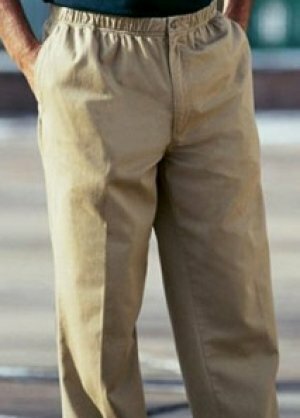 The flat front khakis you'll love for everyday wear. 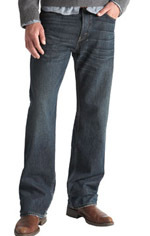 Features the comfortable Levi classic fit, flat front, soft brushed fabric, a permanent crease, and no-wrinkle wear. 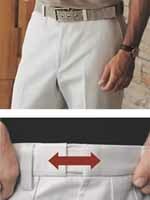 Its Individual Fit Waistband gives you up to 2" of additional comfort. 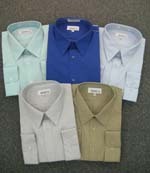 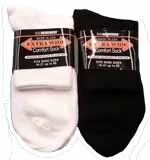 Darker-colored pants resist fading with Color Bond wrinkle-free ease. 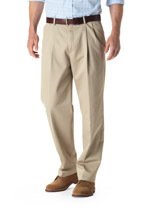 The pleated front khakis you'll love for everyday wear. 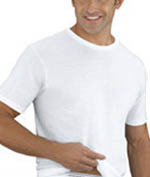 Features the comfortable Levi classic fit, double pleated front, soft brushed fabric, a permanent crease, and no-wrinkle wear. 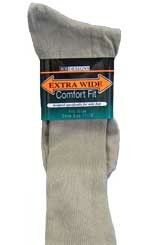 Individual Fit Waistband guarantees comfort. 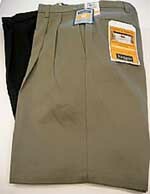 Darker-colored pants resist fading with Color Bond technology. 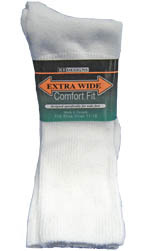 Features elastic around half of the waist for comfort. 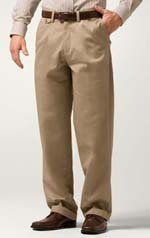 100% cotton pant with side cargo pockets. 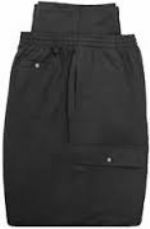 This is a full elastic fleece cargo pant. 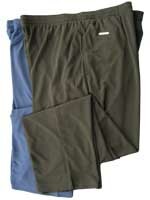 Features 2 front pockets, 2 side cargo pockets, 1 back right pocket and open bottom. 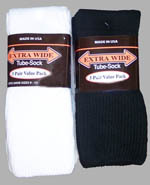 Perfect for lounging around or going out, very comfortable! 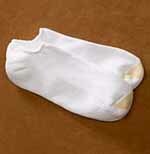 Made of 60%cotton 40% poly. 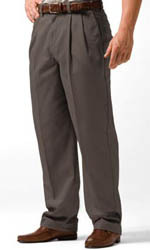 Full elastic waist casual slacks with belt loops. 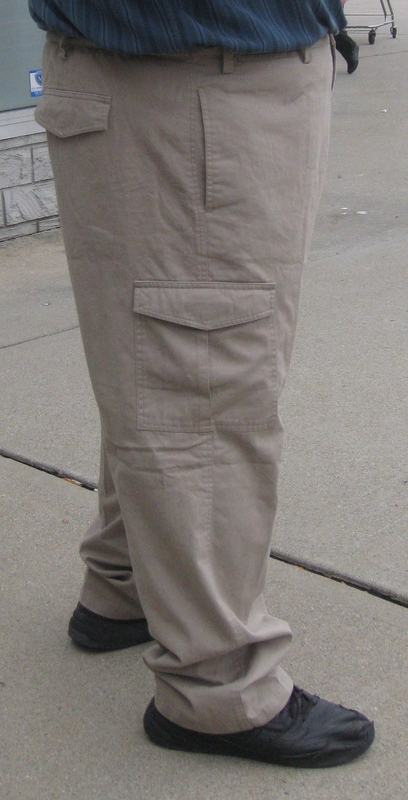 Plain front, two front pockets, two rear pockets (left pocket has button closure). 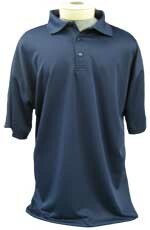 Utilizes a button closure front with a metal zipper fly. 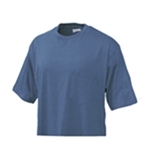 The Navy, Black and Khaki colors are 60% Cotton / 40% Polyester. 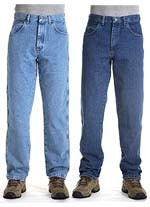 Denim is made of 100% Cotton.